From start to finish and even after closing on my new home, Rochelle was truly an advocate for me during the home buying process. She had a keen sense of what I was looking for and took time to patiently listen to my needs. With the grace of a true professional, she expertly navigated the entire process with great insight, which was specific to the current market. I have had experience with other Realtors, but Rochelle is second to none. Rochelle & Keri guided us through all the house search ups and downs--and I felt we had more than most! I was blown away by their level of prompt service and willingness to help. Rochelle was extremely responsive and answered questions, addressed problems, and arranged showings anytime we needed. She is very knowledgeable of the market in the Carmel and Zionsville area and gave us great insights about value and expectations on both our sale and our purchase. We would highly recommend Rochelle Engelby for your home purchase or sale. "Rochelle Engelby is a true professional! She assisted me in searching and purchasing my first home. I came into the process knowing almost nothing. Her professionalism, expert knowledge, experience, personality, and contacts made the home search and buy process uncomplicated, educational, and exceeded all of my expectations. I highly recommend her to all who are looking to purchase or sell real estate." 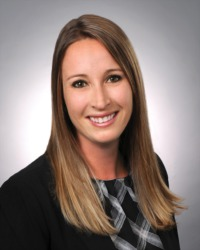 "Rochelle Engelby exhibited the highest amount of professionalism, tenacity, and integrity as my real estate agent throughout my five month long short-sale process. She kept me informed and educated me on all of the choices available through the process. I would recommend her to anybody!" "Rochelle was an enormous help in getting our condo sold. We worked with her from across the country and were very happy with her fast communication and the ease with which we were able to work from so far away. Our condo sold using a military program and Rochelle quickly learned all the necessary information to assist us with the program details. We would definitely use Rochelle again if we were to buy another house in the area." "Rochelle did an excellent job helping me find a home. She is professional and warm and personal at the same time. She is concerned with the results and that her clients are happy. She knows the market and does the research to help you make the best decision. I would definitely work with her again." Rochelle Engelby is the most competent and effective real estate professional that I have ever worked with! She is well-informed about the area real estate market and had proven to be an expert in her field. Within only a few days of listing my property with Rochelle, she presented me with two offers that were both above the list price. She successfully sold my condo for more money than I had ever expected, and in record time! Rochelle is easy to work with; she pays close attention to her client’s needs and requests, and always responds to phone calls and emails in a timely manner. Her people-skills played a significant role in the successful negotiation and management of the sale of my condo. In addition to her significant experience as a real estate broker, Rochelle has many years experience in the lending industry, and her knowledge of the loan process proved to be very valuable in the successful closing of my real estate transaction; she was able to quickly facilitate the resolution of several issues that threatened to derail the sale of my condo. I intend to retain Rochelle Engelby for all my real estate needs, and highly recommend her to others. "I had the privilege of working with Rochelle as my realtor when looking to sell our home in Zionsville. Rochelle's knowledge about real estate is extensive and she was readily available for any questions I had. She brought an offer to the table after only 2 weeks! I wouldn't hesitate to recommend Rochelle Engelby to any person who is looking to buy or sell a home, as well as seek her service in any of my future real estate transactions."